I envision a world where individuals live authentic, fully-spirited lives, acting from purpose, aligned with essential values and creating a new vision for the world. I envision a world where people embrace the value of change. I envision a balanced world, alive with Spirit in Action. I think most people know who they really are and what they want. We come into the world with this knowing. Along the way, a lot of covering over this essential relationship with ourselves takes place. Transitions can be a gateway to amazing transformation. I am particularly gifted when it comes to supporting and assisting people facing transitions and change. ReSpirit Coaching is a spirit-centered dialogue bridging the knowledge of your truest self with purposeful action, expression and realization. ReSpirit Coaching is often a process of uncovering and discovering—truly a RE-discovery of those gems residing within ready to be seen and heard and longing to be activated again. 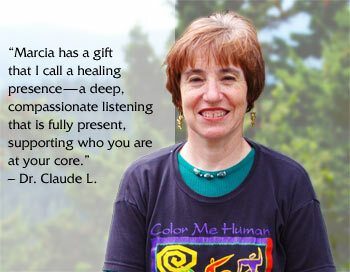 I am inspired to open my practice wider to people seeking to live their lives more soulfully. I invite you into the ReSpirit conversation—a conversation coaching you deeper and deeper into your own truth, awakening the subtle longing in your heart, and placing it solidly at the center of your life. Awaken your highest aspirations and get them in motion.